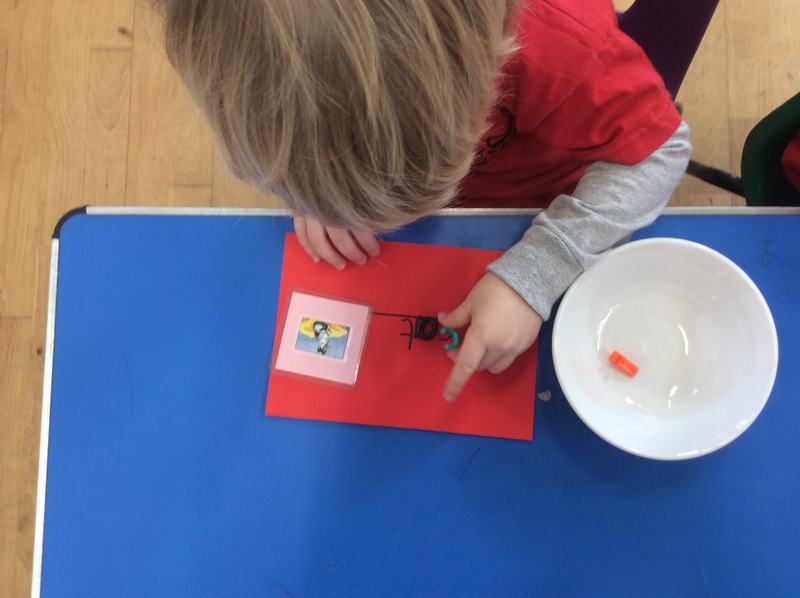 Today some of the children used the large plastic construction set to make cranes, arms, robots and lots of other fascinating items. We had the wooden puzzles out on the mats, lots the children spent a while with these. Liz came in for singing and movement with the children, we had a few solo singer requests which is always lovely to see. Our music lessons are really great for all areas of learning for the children. The movement helps with their physical development with motor skills, stretching and awareness of other children around them. It’s also great for the children’s self confidence, lots of the children really enjoy getting up and singing solo. There are also areas of mathematics, literacy and ‘understanding the world’ which are developed with music and movement. Following on our ice, snow and cold weather theme we were using the scissors to cut icicles today. 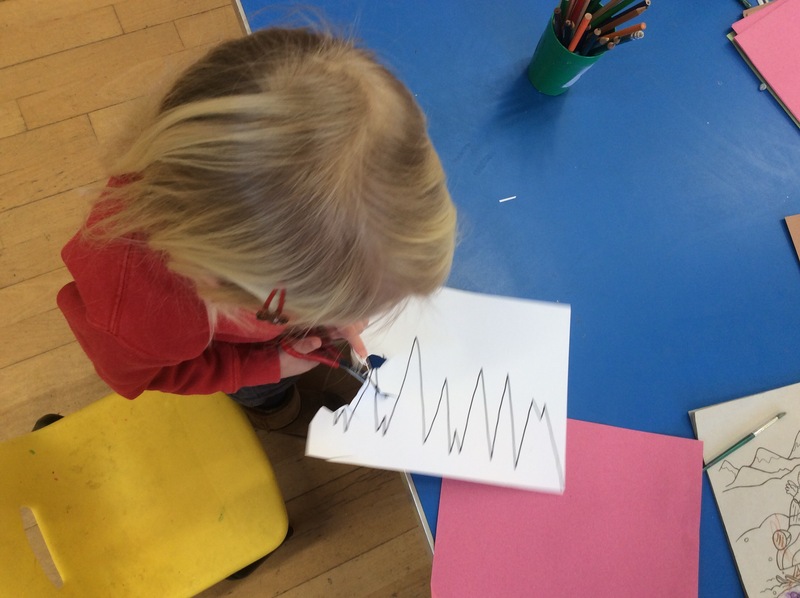 Some of the children liked the challenge of following the lines. 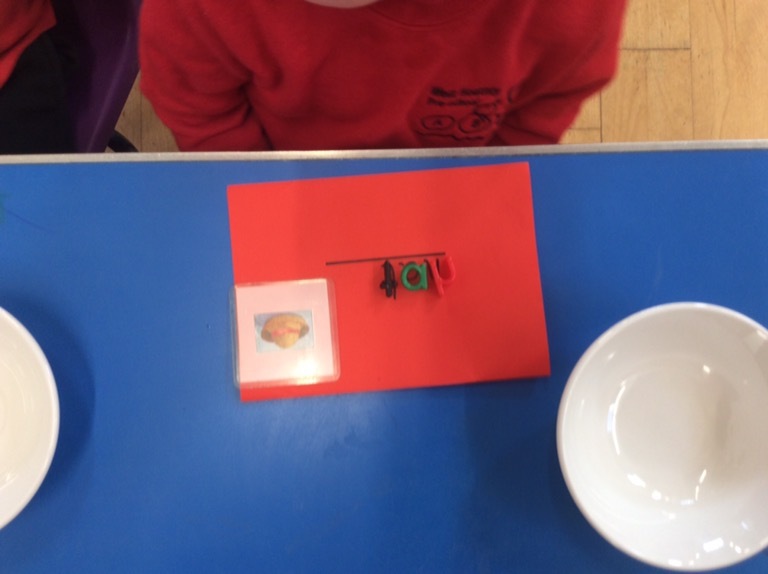 We were using the threading letters to look at the structure of small words, dog, cat, hat and pig. We had visual illustrations of each, the words which we overlaid with the plastic letters. At the moment we are concentrating on the numbers 1-5 and helping the children to recognise these figures and their value. It would be great if parents could get involved with this too at home. 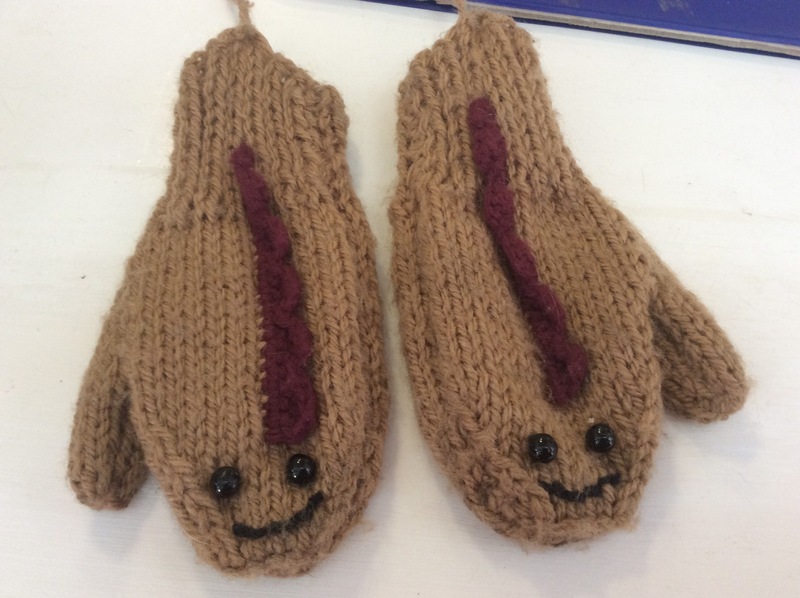 One final thing we have some beautiful mittens that seem to have been left behind. Please let us know if they belong to you.